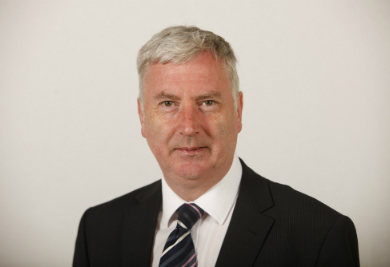 James Kelly is a Scottish Labour and Co-operative MSP for the Glasgow Region. He was elected as MSP for Rutherglen in 2007 and 2011, and a list MSP in 2016. He currently serves at Labour’s Shadow Cabinet Secretary for Finance and the Constitution, having previously held the role of Business Manager and election coordinator. He sits on the Scottish Parliament’s Finance and Constitution Committee. James lives in Cambuslang with his wife and two daughters. In his spare time, he enjoys running, tennis, golf and football. Prior to being elected, James worked for Scottish Power and in computing and accounting. He attended Glasgow College of Technology, now Glasgow Caledonian University. In 2018, James repealed the SNP government’s Offensive Behaviour at Football and Threatening Communications Act, becoming the first opposition MSP to completely repeal an administration’s law. The legislation was the first to be introduced without any cross-party support, and was widely discredited by legal experts, fans’ organisations and human rights groups. Aside from his finance brief, James is interested in co-operatives, and chairs the cross-party group on this subject in Holyrood, credit unions, sport and consumer rights.